Co-founder of GestureTek, Vincent John Vincent, has been the creative force behind the company’s technological innovations for the past 25 years. 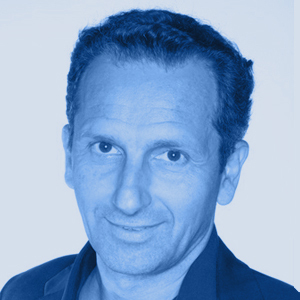 Vincent's unique insight and vision has been instrumental in defining and developing the video gesture recognition and control industry. In addition to opening up markets for the company's technology, he is responsible for day-to-day operations, sales, marketing, and new product development for the company. Vincent has personally overseen the creation of well over 1000 virtual reality experience applications for games, corporate events, TV productions, education, and virtual therapy uses. HWhen countless studies showed the positive attributes of the technology in this area, and after having raised investment, the company directed its resources towards productizing the technology for these applications and created a health division to further the investigation. Since 1986, Vincent has been recognized as the co-inventor of video-gesture technology. He has represented the company and delivered keynote addresses and presentations at countless industry conferences worldwide. In the past, Vincent was the co-creator and Executive Producer of The International Digital Media Awards, and was on the advisory board for the Toronto Design Exchange VR Visualization Center and the Art Institute of Toronto. In 2003, Vincent was honored by the Canadian Digital Media Association with a Lifetime Achievement Award. In 2007 he was honoured with the Media Guru award in Milan, Italy. In 2011 he was the inductee into the DigiFest "Digital Pioneers Hall of Fame”. That same year, he spoke at TedXWaterloo and spoke at IdeaCity in Toronto. Vincent continues to seek applications of the technologies that have a positive impact on society. Previously the Global Sales Director for GestureTek., Erol is now the President of the company. He has extensive management, sales and business development experience with both start-ups and established organizations in USA, Canada, Europe and globally. Erol has managed multi-million dollar companies and divisions in the areas of consumer electronics (Profilo; Thomson Multimedia), computers (OEM-Toshiba) and enterprise software (Sage; Nexus; Porcan-Datamedia). 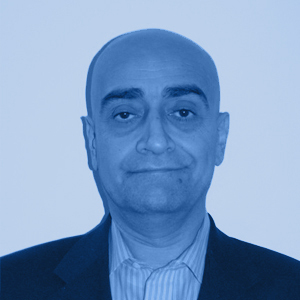 As a regional distributor or partner, he has managed manufacturing, distribution and marketing activities with multinational vendors, including Sony, Panasonic, Pace Digital, Sage, IBM, Thomson, Toshiba, Microsoft, File Net, Intel and Psion. In his sales and business development capacity, he has directly negotiated and sold software and hardware technologies to a wide array of Fortune 500 companies, including McDonald's, Old Navy (GAP), Unilever, Ford, IBM, Coca Cola, P&G, Disney, Pepsi, Cisco, T-Mobile and Sprint. Erol has a degree in Civil Engineering. Anisa began her early career in the pharmaceutical industry with GlaxoSmithKline before providing strategic business and communications consultancy with CrimeStoppers. She has been a social entrepreneur/film maker for the last 15 years; starting a company, Black Sheep Media, and making films as catalysts for social change. In 2009, Anisa received UnLtd’s Millenium Award, given to “people with vision, passion, drive and commitment who want to change the world for the better.” She has made over 25 films to date, most notably Genius In Disguise (2010), the first filmmaking workshop to ever be run in a prison in the UK. Anisa also produced a film on Stéphane Hessel, the final remaining author of the Universal Declaration of Human Rights and the book ‘Indignez-Vous’. In 2011, Roger Martin of Thinkers 50 awarded Anisa a scholarship to his integrative thinking program for global leaders; she went on to produce I Think- documenting the integrative thinking program as it was offered to Toronto’s lowest performing school. Anisa has co-authored an academic paper titled Narrative and the Nature of Reconciliation within the Self and Society: an Applied Neuroscientific Perspective. Anisa is responsible for the Strategic Initiatives at GestureTek Health. In her ongoing work with the company, she aims to enhance engagement and healing through immersive virtual reality technologies to aid rehabilitation and disability. Varun is co-founder of Impact Investment Partners (IIP) a UK based FCA regulated firm that provides consulting services, direct investing and asset management. Prior to IIP, Varun was the first country director of Acumen in India (2005-2010) and has had a number of roles across the not for profit and for profit sectors from Oxfam to CARE to Unilever where he focused primarily on building scalable enterprises. Varun has been on over 15 boards of both investments and as an independent director, adviser, trustee and investment committee member apart from having a number of successful entrepreneurial ventures. Varun is an alumni of Columbia University and the London School of Economics where he is a Chevening Scholar in addition to being an Asia Society Global young leader and a TED India Fellow. Varun’s knowledge and experience brings great value to GestureTek Health. 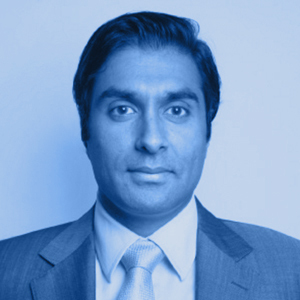 Varun is an active director on GestureTek Health’s board. Thomas is a former athlete, personal trainer and strength coach with over 10 years’ experience in the industry and an additional 10 as an athlete. Due to the nature of his roles, most recently as the manager and assisting in business development for a global fitness brand he has experience in sales and a successful track record of customer facing roles. Thomas speaks both French and English fluently and has developed great communication skills. Exposure to a multitude of clients during this time and working to a sports specific strategy as well as rehabilitation has resulted in in-depth knowledge of human anatomy and biomechanics.